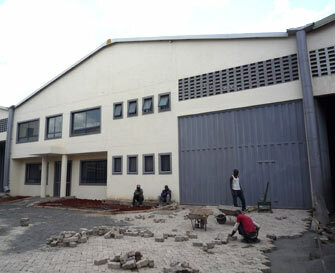 Construction of X-Calibur Construction Chemistry (EA) Limited`s production facility is nearly completed. Located on the Mombasa Road close to the Jomo Kenyatta International Airport it is in an ideal location. X-Calibur International FZC has won a 2014 Sustainability Award from the International Concrete Repair Institute for its work on providing a low carbon repair solution for a 26,000m2 jetty resurfacing project at the Federal Oil Terminal in Nigeria. This prestigious award further demonstrates X-Calibur`s commitment to providing sustainable construction product solutions. X-Calibur has supplied as wide range of sustainable materials to the Masdar Project in the UAE and supplied all the flooring underlayments to the US Green Building Council Headquarters in Washington DC. ©2009-2015 X-Calibur International FZC. All Rights Reserved.